Honestly, I don’t ever know if I will feel totally settled in this house. It is big and beautiful but the second floor still lacks pictures on the walls and I must admit things are still in boxes waiting to find homes. I won’t even speak about the 3 car garage with no cars in it! Ugh! As a military family it’s a deplorable situation. When active duty it would normally take 6 weeks to settle into your home but as a retired military family we have never had this much time to unpack. So why rush? I am definitely taking my good sweet time. 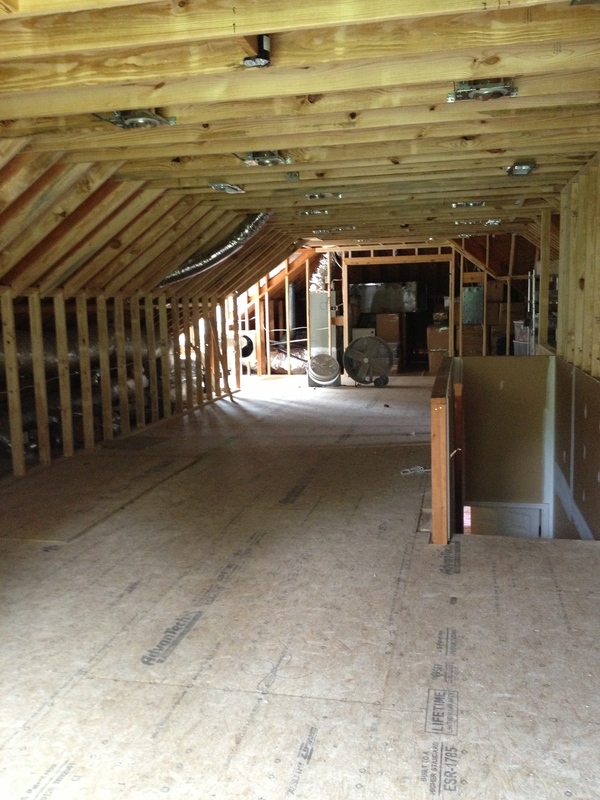 The truth – this is phase 1 of the renovation…all the of the floor and ceiling joists are reinforced (an unexpected speed bump), HVAC duct work is in position with preliminary electric work and framing in place. 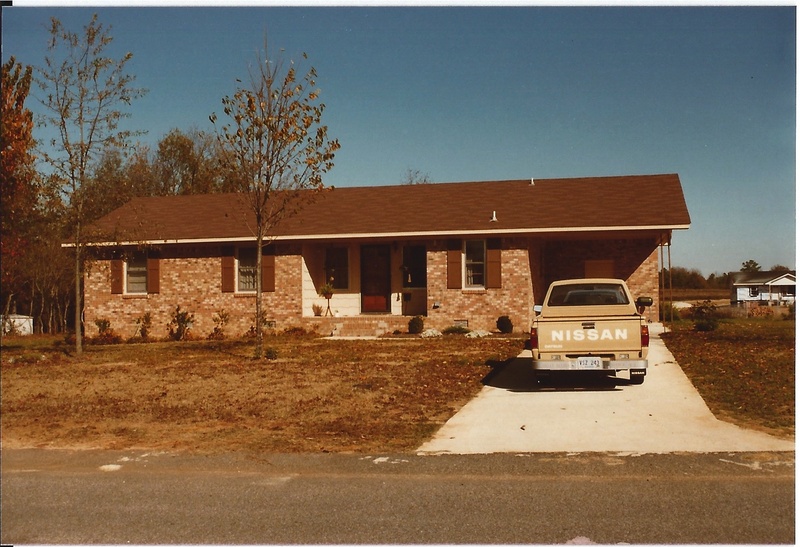 The finished livable space is 1000 square foot, or the size of the first house Charlie and I purchased in 1983 Dalzell, South Carolina. It was 3 bedroom, 1 1/2 bath, in a neighborhood were we met our first lifelong Air Force friends, Bill and Cynthia. Four months later I moved in…but not comfortable yet. When I have it looking “good” (i.e. presentable) I’ll give you a peek. 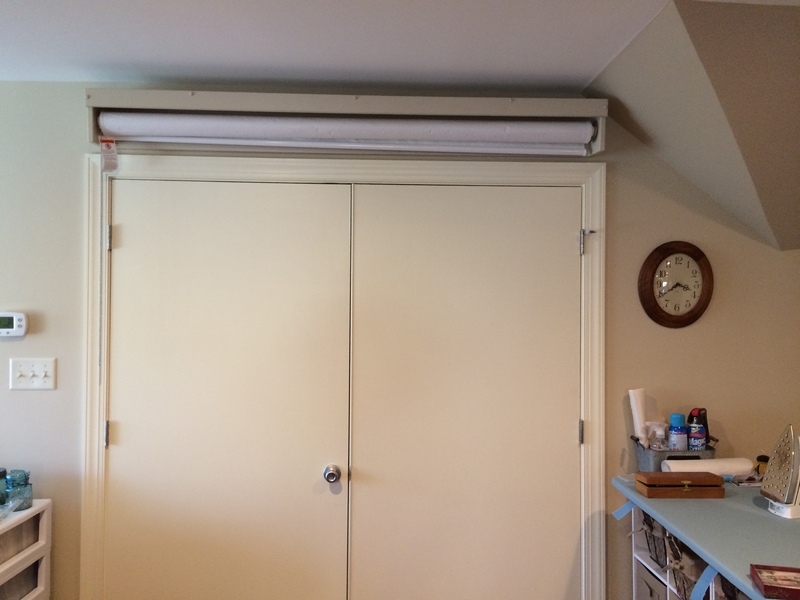 For now you can see the 2 latest additions… a retractable design wall and another new sewing machine. I LOVE these double doors into the attic storage space…our contractor’s wife suggested these and she knew what she was talking about! But in a space with lots of half walls I needed a wall space for a flannel design wall. I googled retractable design wall and yes, I found it! Honestly what can’t you find when you search the internet!? Yes, I probably could have rigged something up similar but why reinvent the wheel? I ordered an unfinished frame and painted it Kilim Beige like the rest of the room (and house – I embraced a monochromatic paint scheme). Now I have my flannel design wall that rolls up when I need to put something in the storage space. It’s perfect! And now I would like to introduce the new “baby”…Juki. Primitive Gatherings ran a special holiday sale on these on Dec. 24, $100 off plus free shipping. So Merry Christmas to me! It arrived last week and I set it up and started playing with it yesterday. I placed it in my new Koala sewing cabinet (Happy Birthday to me! 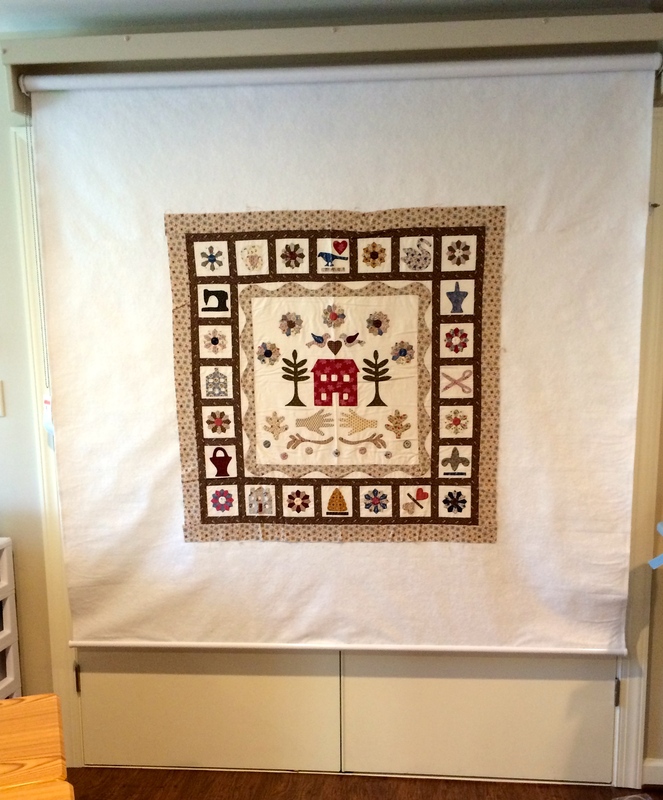 ), dropped the feed dogs and started free motion quilting. 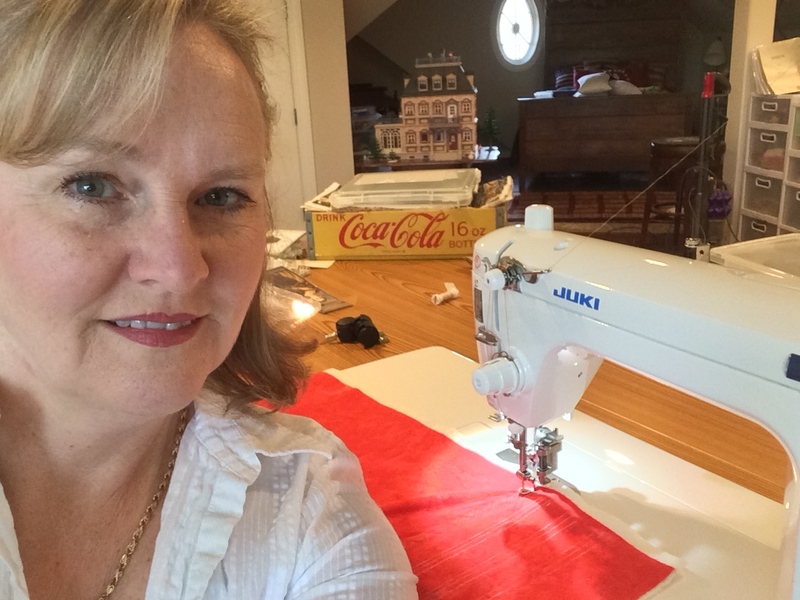 This is NOT a fancy machine…many sewing machines today are going for $5,000 and up. I’m serious! These are not for me! My beloved Bernina is now close to 20 years old and still running like a champ. I have used it hard so to increase its lifespan I’ve added Juki to the mix. 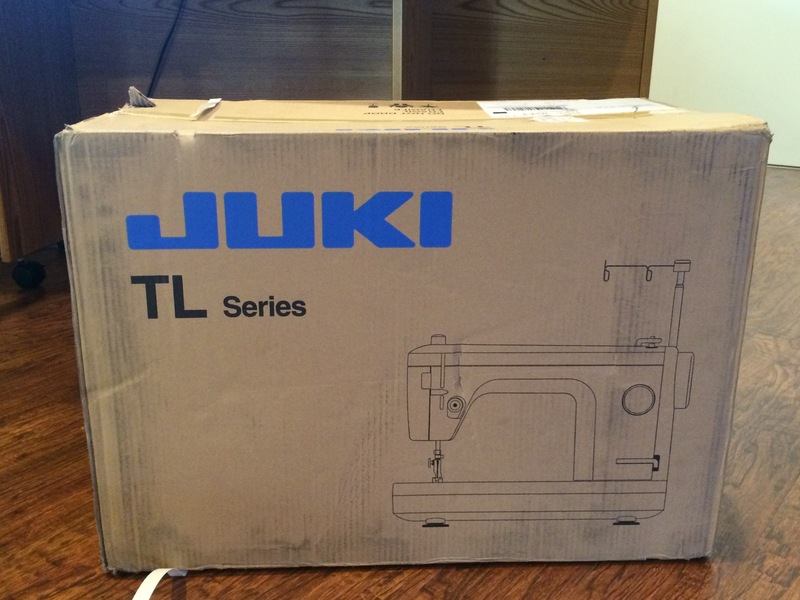 Juki is not fancy….straight line sewing only, all metal and mechanical, no computer…just a workhorse. To get to know Juki I’m doing Lori Kennedy’s (theinboxjaunt.com) Mystery Quilt Along. I’m already behind but plan to catch up this week. I have several new recipes to share but afraid that will be another post…the playhouse awaits and I have much to do! Have a great week! Karen, Congratulations on the new playhouse! Wish I was as creative and talented as you are!